The location will carry food items found at Starbucks locations across the country (known as the Starbucks La Boulange line) as well as Disney-specific goodies. So, there you have it… Hollywood Studios officially joins the ranks as the third of four Disney World parks to have its own Starbucks, along with Magic Kingdom’s Main Street Bakery and Epcot’s Fountain View. 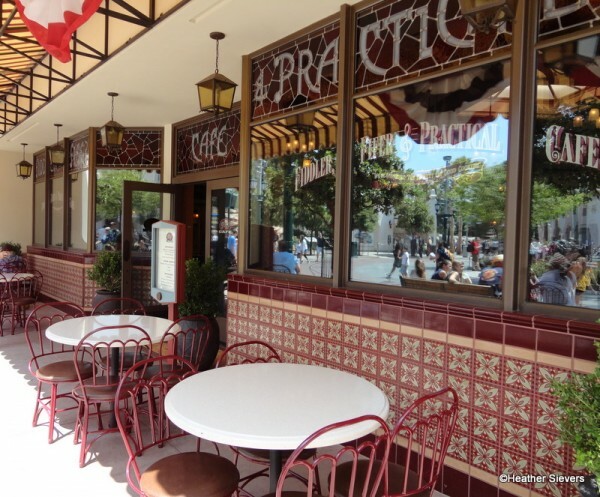 Starbucks certainly isn’t a stranger to Disneyland, either, where the very first in-park Starbucks location debuted at the Fiddler, Fifer and Practical Café in California Adventure. With Labor Day weekend upon us, it’s already hard to figure out where the majority of 2014 went 😉 . If this year is any indication, February 2015 will be here before we know it. As always, we’ll keep you posted on more information as the date nears. In the meantime, have a great Labor Day Weekend, everyone! 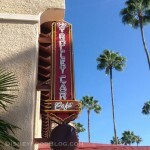 What are your thoughts on the upcoming Trolley Car Cafe? Please let us know with a comment! « Disneyland Duel: Battle of the Beignets! I’m not too happy about it. When I go to Disney, I want unique food and beverage items that can only be found there, not at any of the 32,000-or-so locations of a chain that is EVERYWHERE. I don’t even care for Starbucks- everything always tastes burnt to me. I’ll just save my precious Disney dollars for other eating options. Phew! *wipes forehead with hand* Writers Stop and Starring Rolls are safe! Have to say, not impressed with Disney losing it’s uniqueness and allowing these big box chains to invade the parks. I too will spend my money elsewhere. We are not Starbucks fans in my family, although my son likes their hot chocolate in winter. I don’t mind if they want to serve SB brand coffees but I am disappointed to see unique places being turned into something I can see on every corner at home. I have to wonder what this will mean for Starring Rolls. As long as they leave my beloved Butterfinger cupcake alone, I am good with whatever they want to do with any of the food and merchandise locations in Hollywood Studios. If this changes Starring Rolls’ or the Cappuccino cupcake at Pizza Planet, I’ll be very, very, very upset (and I think a lot of other people will be, also). I agree with others, I’m not a Starbucks fan at all and I too like to have unique food and beverages when I’m at Disney. I’m not impressed with any of this! For all those talking about the “uniqueness” of food at Disney Parks and big brands coming in, they have always had big brands ever since day one. Ten years ago McDonalds fries and McNuggets were on sale in all WDW parks. Disney have partnered with coca-cola and Dole for many years as well as various other brands. Doritos were even invented by Frito-Lays at DisneyLand! Disney have also been serving Nescafé and Joffrey’s brand coffee for several years. 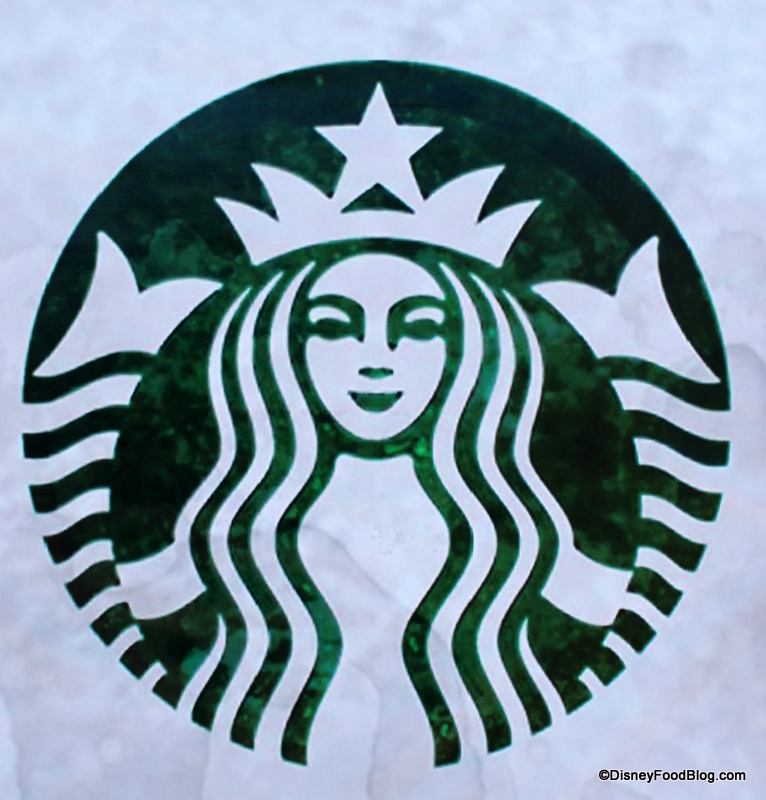 Partnerships with brands are nothing new and many people like Starbucks. If you don’t get a Joffrey’s instead. I understand the frustration when the Main Steet Bakery was replaced as the new Starbucks has less baked goods and no seating. 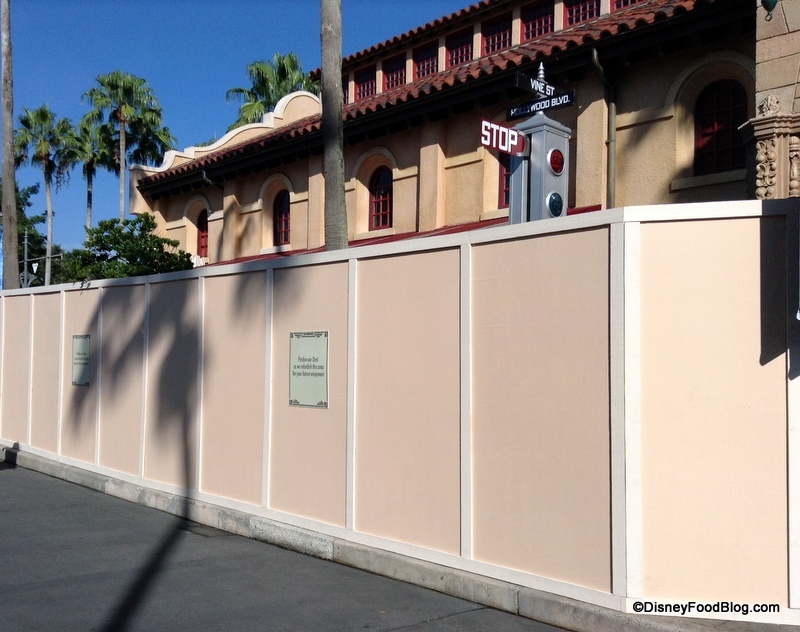 But at DHS they are replacing a shop with Starbucks at least. I was so nervous reading this news, worrying that Starbucks would be taking over Writer’s Stop. 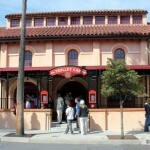 I am relieved that it is not as I love having this “hidden gem” in Hollywood Studios. I don’t mind the Starbucks presence in Disney too much but I hope they continue to incorporate them subtly into the existing park themes and keep it to one per park. Love the coffee but would probably get food and baked goods from solely Disney places. I doubt I’ll go to Starbucks while we’re in Disney- count me among those who prefer to try things at the parks that I can’t get at home. That said, I don’t really have a problem putting them in the parks. Glad to hear that with this one they won’t be putting it in the place of another beloved establishment. Sydney- I thought the EXACT same thing!! Yes, John big box partnering is nothing new. But previously these partnerships did not replace iconic favourites in the Disney parks, such as Main St Bakery and Fountain View. For me the Starbucks in these locations, are notable steps down from Disney unique offerings, which were popular and positively reviewed eating/snack options. 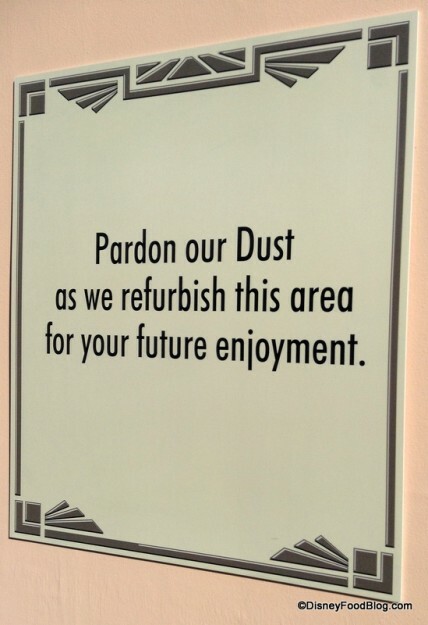 It seems like they are replacing a lesser option in DHS, but that was not the case in MK and Epcot. My husband and I now skip these Starbucks as when we walk into those spots we might as well still be at home instead of in the ‘magic’. As well, comparing Starbucks to Dole is a stretch, as I can’t walk into a shop at home and purchase a dole whip. I have no problem with Disney partnering with any company…they have done it for years….but this is a bit different to me. Serving Starbucks coffee at Main Street Bakery would be one thing, but turning it into a Starbucks is another. It’s nice to find your favourites at the parks but the Bakery felt like it belonged in Walt’s recreation of Marceline, his cherished inspiration for Main Street USA. When I walk in now, it feels more like the strip mall 10 mins from my house. Same with Fountain View. I can only describe it as “feeling Disney” when you’d enter….now it doesn’t. I’ll reserve judgement on DHS until I see whether they can make it maintain the “Streets of Hollywood” feel or not. DISNEY REQUEST- If you’re going to make me see/experience Starbucks in every park…..can you put a Dole Whip station at the Starbucks near my house? THANKS! 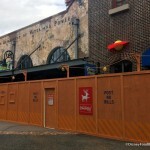 My first thought is I hope part of the deal isn’t to get rid of Starring Rolls, but hopefully since Disneyland has both Starbucks on Main Street and the Jolly Holiday close by, it’s safe. I won’t be buying any pastries at SB however their coffee is fine by me. Now there’s only AK left. Can’t imagine a SB in the Oasis! 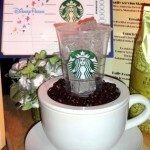 LOVE Starbucks…and including it at the Disney Parks is a welcome addition!! Will love it with my Disney Cinnamon Roll!! Just wished it was served at the resorts too! I do have a dole whip about 1 mile from my starbucks. It doesn’t taste the same as having 1 in the parks. I also feel like my starbucks just tastes better in the parks!! Can’t wait!!!! We love,love,love starbucks…but I agree, please leave Starring Roles as is and don’t, please don’t take away the Cappuccino cupcake as is…. that is our all time favorite cupcake…. Counting down until our trip!!! Less than 8 weeks…. will be there for the Christmas celebration… what a fabulous time to be at WDW ( of course anytime is a fabulous time to be there!!) SEE YA REAL SOON !!!!! Starbucks coffee is not my personal favorite coffee but, in my opinion, it is far superior to any of the coffee shop offerings that were previously available at any of the WDW parks. For years I have been trying every coffee shop that I can find only to get terrible coffee or espresso beverages. Starbucks is a well-known brand and people know what to expect and know what they like. I think going with such a well-known brand with so many coffee and snack options was the best decision for WDW. Starbucks specializes in coffee beverages and it better to let that company control the quality of their product. 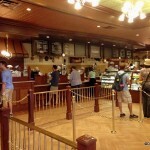 During my recent visit to WDW I went to Starbucks at Magic Kingdom and Epcot parks and I was completely satisfied with their product and I was just what I am use to getting back home. It normally took me about 10 to 15 minutes to get my beverage once I entered the shop even though the place was packed with people. They do a good job taking your order and getting you out fairly quickly.